So much for sleeping late today. In my animals’ brains, the appearance of the sun means it’s time to wake the humans so there can be food in the bowls. Cue, routine, reward. It doesn’t matter it’s Sunday. Same is true for your animal brain. Your behavior is driven by habits. Already today, you have operated dozens (or more) times in autopilot. Your behaviors, including your emotional responses, are driven by cue, routine, reward – the Habit Loop described by Charles Duhigg in The Power of Habit. 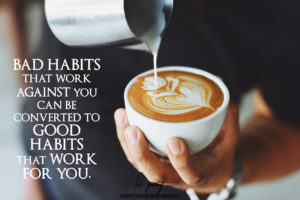 The question is, are your habits working FOR or AGAINST you? 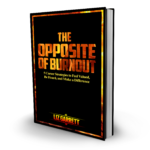 I write in Opposite of Burnout, “Successful people know: habits can make or break you. Learn to leverage the power of effective habits. Take advantage of your brain’s autopilot feature.” Habits are powerful, but delicate. They will operate in perfect mechanized precision—giving you more of what you’ve always gotten—until you change the program. If you want to change your experience, change your habits. Duhigg tells us our brains operate in a habit loop. A cue stimulates the brain to drive a thought or behavior (routine) to create the reward it seeks. 1) Observe cues. Cues trigger behavior, consciously or unconsciously. Cues may include thoughts, images, times of day, visual triggers, places, emotions, company of certain people. Cues might be as solid as your feet hitting the floor in the morning, or as ephemeral as the fear of being judged. Cues turn on your habit loop. Knowing—or creating—your cues is how you will leverage the habit loop. 2) Observe your rewards. What are the payoffs you crave? Rewards may be physical, like certain sensations, foods or experiences. Often the rewards we crave are emotional, such as the feelings of love and belonging, or justification for anger and loneliness. Understand what drives your habits. You’re not going to deny your rewards; you’re going to find healthier ways to create them. It really is this easy: identify the outcome you seek, and hang a new habit on an existing cue. 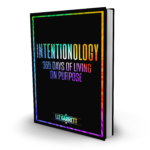 Once the habit becomes ingrained, it will become the brain’s new autopilot, and you will experience the results you desire, effortlessly! Little by little, habit by habit, you are moving in the direction of your dreams. For my animals, we can’t change the cue (sunrise) and we won’t change the reward (breakfast), but we can change the routine by waiting until they calm down and rewarding the behavior we desire (quiet). Think about your week ahead. How are you going to use these 3 steps to tip one habit in your favor? ‹ Are You a Loser?